Push fit plumbing systems are a much faster and easier way to install pipework throughout the home, it’s more flexible, easier to cut and easier to create joints. Our fully demountable push-fit plumbing systems include white and grey push fit plumbing pipe and fittings in sizes 10mm 15mm & 22mm including speed fit barrier pipe coils and push fit barrier straight lengths. Both can be used on cold water and heating systems and both conform to BS EN ISO 9002 & BS7291. Push-fit fittings are getting more and more readily available in home improvement centres and hardware stores, thanks largely to their ease of use. Compared to solvent-gluing uPVC and ABS pipes, or soldering aluminium pipes with a blow torch, push-fit fittings are remarkably simple to use and need no particular skill and contain no harmful toxins or solvents. The fittings work via a collection of metal spurs within the fittings that tightly hold the pipes when they are inserted into the matching sockets. Neoprene O-rings within the fittings make tight, waterproof seals against the pipes. 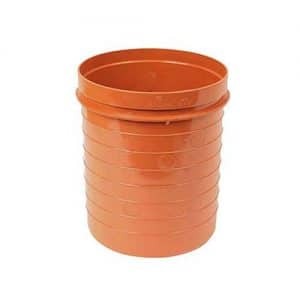 Studies have shown that these are lasting connections will be suitable even for pipework that's going to be hidden inside finished walls and ceilings. When you are creating joints for fresh installation or fix utilising PVC, PEX, PB or copper pipes, push-fit fittings are undoubtedly the fastest and easiest thing to do. Push-fit fittings are produced under various brand names, each of which has a slightly different look. 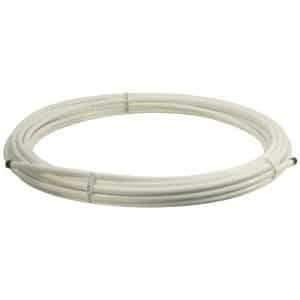 John Guest, HEP20 and Whitespeed are some well known brand names used by manufacturers for this kind of fitting. Regardless of the brand name, push-fit fittings have a similar internal structure that allows them to make a watertight seal when they are pushed onto a pipe. The rate of creating a connection with push fit fittings is perhaps the biggest benefit. In a crisis, you can quickly cap or fix a pipe simply by pushing on a push fit matching fitting. 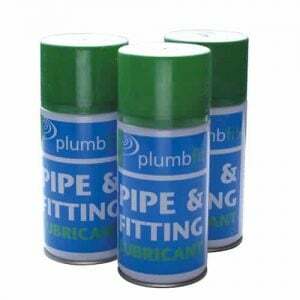 Pipes do not need to be absolutely dry when utilising push-fit fittings. This is in contrast with ABS and PVC, which should be bone-dry before solvent gluing; or copper pipes, which also has to be sterile before soldering with a blowtorch. Push-fit fittings are a excellent way to generate pipe connections without needing to solder or use straps, unions or adhesive. Push-fit fittings can be found in various materials for different sorts of applications. 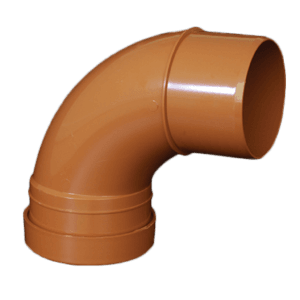 Virtually all pipe types have corresponding push-fit fittings made for them. The product lines for push-fit fittings consist of many different fittings in many different sizes, for virtually any application you can imagine. 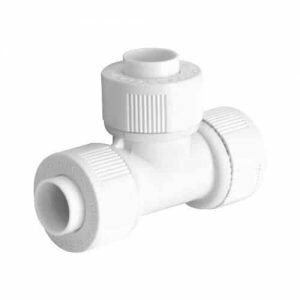 Push-fit fittings are easily removed in order that they can be re positioned as necessary. If the link is meant as a temporary fix, the fitting may be utilised and then readily removed from the pipe. When utilising push-fit fittings, make sure there aren't any burrs at the end of the pipe; this may hurt the O-ring and compromise the watertight seal. Follow the manufacturer's directions and recommendations to make sure that your connections are watertight and safe. There's a tool to remove particular forms of push-fit fittings. It is a great idea to have a removal tool handy even when you're planning to use push-fit fittings as a permanent repair. Ensure that the push-fit fittings you buy are approved for the intended usage. The bundle labels should tell you the approved use of the fittings. Because we are here for you! Need us? We are going to be here. Wish to email? Expect a reply. At the eventuality that you do encounter an issue? Then expect us to place it right! For contractors and tradesmen in the building business who can not afford delays in getting critical goods. EasyMerchant guarantees you get the products that you require, on time to complete your project without any flaws or over-runs. We stock a comprehensive choice of items, that are accurately picked and quickly shipped so that you are able to finish your jobs on time, every moment. In our view customers typically buy because either the products are inexpensive, or because their provider looks after them or because they want the merchandise fast - So we thought we'd do all three! We believe it is the link between price, product and service that keeps a customer coming back. We think you have to attain satisfaction in each of these areas so as to fully please a customer and win their repeat business. Sadly, this appears to have been dropped on nearly all the other net merchants out there and also the cyber area seems filled with cheap product ranges, cheap employees, and a much cheaper delivery service. Here at EasyMerchant Limited we utilise our years of business experience to streamline the process. We use our long standing relations with industry leaders to produce an unbreakable network targeted solely to your own satisfaction. We use our buying power to purchase in bulk and pass those savings on to you, and we carefully select and package your purchase, before sending it out for transport on a professional automobile whenever possible. Feel free to contact us should you will need to look at installation instructions or a list of product accreditations. We will have the ability to supply these on petition! You're welcome to make an account on EasyMerchant when placing your order, this will provide you access to the hottest offers, discounts and tips.